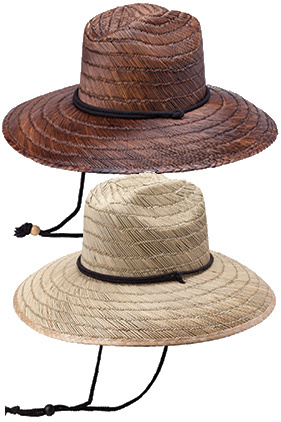 Seven 13 Productions - Peter Grimm "Costa"
100% straw, hand woven lifeguard hat. UV protection. Elasti-fit sweatband. 4.75" brim. Easy to decorate with a custom patch.